Sherrow, Sutherland & Associates P.S.C. John P. Schrader grew up in Lexington, Kentucky, and after having graduated from the University of Kentucky College of Law in 1979, he enjoyed 27 years as a practicing attorney before becoming a Family Court Judge. He was a partner in the firm of Geralds, Jones, Sherrow and Schrader before being a co-founder of Sherrow, Schrader & Sutherland. As a family court lawyer, he developed an unprecedented process of Legal Separation that helped several couples in crisis save their marriages. In addition to his work in family court, he served for 27 years on the Board of Directors and as the attorney for the Greater Lexington Apartment Association. In addition to serving as a lobbyist for the multi-housing industry before the Kentucky General Assembly and the LFUCG Council, he represented hundreds of apartment owners and managers in both transactional work and litigation. For a number of years, he also represented several insurance companies, and their insureds, in a variety of personal injury cases. In the 1990’s, before the prevalence of mediation, he tried a significant number of personal injury and other types of cases before juries throughout Eastern and Central Kentucky. In 2006, he was elected to serve as a Fayette Family Court Judge. 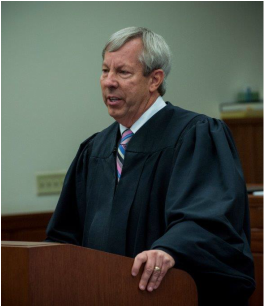 In addition to handling thousands of Family Court cases each year as a Judge, he created and presided over the innovative Fayette County Veterans Treatment Court. In this program, Judge Schrader helped many noble and courageous veterans overcome their problems associated with their Post-Traumatic Stress and severe substance abuse such that they now live clean and sober lives as productive citizens in our community. Upon completion of his term in 2014, Judge Schrader is pleased to return to private practice with his friends at 200 Southland Drive, Lexington, Kentucky. He is trained as a Family Court Mediator and looks forward to using his creative problem-solving and his experience on the bench to help families resolve disputes in a peaceful and mutually agreeable manner. He also plans to represent parties in matters pertaining to Family Court, motor vehicle accidents and personal injury cases, and otherwise, and to continue to serve veterans and others in our community as opportunities arise.